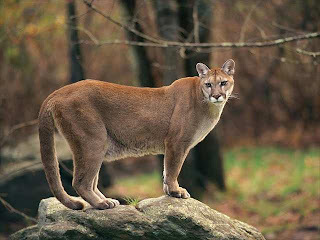 Animal Wildlife | Mountain Lion | The mountain lion is one of the biggest species cat native to the mountains of the Americas. 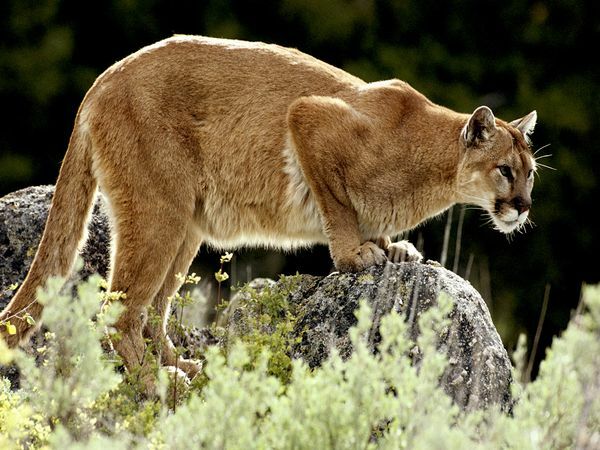 The mountain lion is thought to be a subspecies of cougar that is strictly confined to the mountainous areas. The mountain lion is a highly adaptive feline, able to withstand the harsh conditions in the Rocky and Andes mountains. The mountain lion does not hibernate and therefore the mountain lions undergo uncompromising winters. Mountain lions tend to hunt rabbits, hares and larger birds, and without doubt deer and elk if they were to come across it. The mountain lion has no real natural predators although the mountain lion needs to be wary of bears due to the bears severe size advantage. 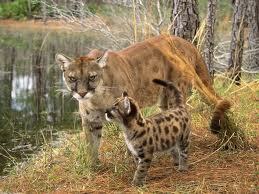 Female mountain lions tend to have one litter of kittens every two or three years. The female mountain lion kitten litter size can range from one mountain lion kitten to six. Female mountain lions are extremely protective over their mountain lion kittens and some female mountain lion individuals have been known to fight to off large mammals, including grizzly bears, with success. 1 Response to "Mountain Lion"
www.recommendedphotos.blogspot.com, collections of most recommended photos, most emailed photos, and most viewed photos.